Look at the larger picture. VAT may have curbed household spending, but rents are down and so is the cost of living. It's more affordable to live in the UAE than last year. And we have the numbers to prove it.. Global data service provider Numbeo's Cost of Living Index 2018 shows UAE's residents are under less financial strain as rents have fallen across the country. This has softened the impact of the five per cent VAT that was imposed in January. 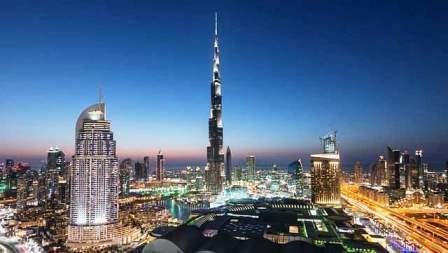 No major city in the country has been ranked among the 200 most expensive cities in the world. Abu Dhabi, Dubai and Sharjah have all become cheaper to live, according to Numbeo. Dubai is ranked 210 among 540 cities in Numbeo's Cost of Living Index; it was 190 in 2017. Abu Dhabi has also dropped from 252 to 303 this year. Similarly, Sharjah has become more affordable now with its rank falling from 273 to 324." The study attributed the decline to rentals which has made the UAE an affordable destination overall. Residents, therefore, have spare cash to tide over VAT. Rents are a major expense for residents in the country and this fall will certainly cushion the impact of VAT in coming months, experts said. A report from Asteco, a real estate consultancy, said that 23,000 apartments and 8,500 villas will be handed over in Dubai this year, which will force owners to lower rentals. It's a win-win situation as this is the best time for renters to strike some bargains with their landlords. John Stevens, Managing Director, Asteco, said VAT impact for tenants will be negligible. Richard Crossley, global property consultant, leasing division, Gulf Sotheby's International Realty, said rents, on average, have fallen up to 10 per cent but increased costs of schooling, transport after the introduction of VAT, are still putting pressure on people. "The soft introduction of five per cent VAT will be hardly noticeable and at this level a couple of belt-tightening ideas will more than compensate for the five per cent added. However, globally the average VAT imposed stands at around 15 per cent. More citizens won't see VAT as a fiscal problem especially if the government reinvests the revenue into the city," Crossley said. The average saving of 5-10 per cent of rent reduction could be eaten up by rising costs, he said. According to Numbeo, the 2018 Rental Index witnessed decline in all the three emirates while the Grocery Index inched up in Dubai but slid in Abu Dhabi and Sharjah. However. Restaurant Index - cost of dining out - increased marginally in all the three emirates. Most importantly, the purchasing power of Dubai and Sharjah residents improved while it declined in the UAE capital. A report by BMI Research said value-added tax will be a "bigger boost for government revenues in the UAE, given its larger consumer base and importance of retail spending for the economy, especially from overseas visitors. Moreover, with Abu Dhabi and Dubai attracting wealthy visitors, we believe that consumers will be able to absorb higher costs," it said.